Keys to Success in Email Marketing. Effective subject lines and compelling content in your business email campaigns make all the difference in open rates! The beauty of email is that it can be customized for every type of prospect and every step of the sales conversion process. We can deliver content-specific messages and promotions to as many different segments as you want. We can set up auto-responders too, which send out pre-written emails depending on your target’s response. Analytics make it easy to not only see what works, but to actually improve your results over time. And in combination with your other digital tools such as social media, blog posts, press releases, videos, and so on, you begin to develop a multi-channel internet marketing system, and the impact on your leads and sales is often dramatic. And here’s a little known advantage: If you are so inclined, you can actually watch your email client dashboard as prospects open your email, and then you can follow up with a phone call. That’s the beauty of email marketing. 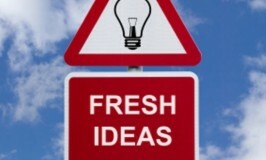 What Does Fresh Focus Group Provide? Everything we do starts with marketing planning. First, we find out what you’ve been doing and what’s been working. Together we develop a detailed plan with specific marketing objectives, detailed topics, schedules, and target prospect lists. Once we develop a workable strategy, we set it all up, create the content, get your approval, and out it goes. The benefit of email is that it’s quick to execute, and results happen fast. Plus, it’s extremely inexpensive compared to some other digital tools and often delivers an impressive ROI. Set-up includes opening an account on the email client of your choice. Some clients already have accounts, and we can easily work with whoever you choose. Set-up also includes a fully-branded custom template designed around your logo and with your email communication needs in mind. Links to your social media? Check. Options to forward to a friend? Link to similar content on your website? Check. Check. Industry-compliant? Of course. We then import your list into your email client, or we can purchase a targeted list for you and use that. Lists can also be segmented by target audience with different emails to each segment. Whatever you decide, we set up your list with professional precision. Schedules are extremely important. We will set up topic schedules, sending schedules, follow up schedules. We can also prepare schedules to delegate writing duties to different staff members, if you like. We write the email content or you write the content. Our excellent writing team is prepared to research and write on any topic in the world and many of our clients prefer to focus on their business and let us handle the writing. Your choice. We edit and you approve all content before sending. Let’s talk. Contact us for your free SEO Audit and we’ll discuss your email marketing strategy when we deliver your report during your free one-hour consultation.